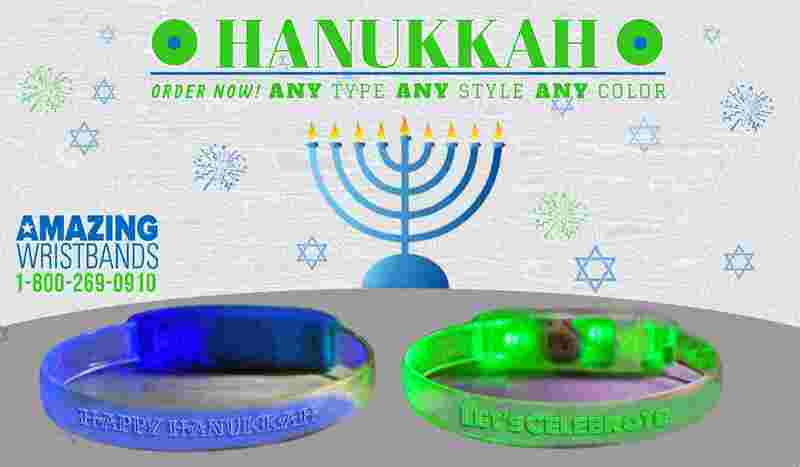 Hanukkah, also known as the “Festival of Light”, is a Jewish holiday celebrated to honor the re dedication of the Jewish Temple. It also remembers the Jewish people's struggle for religious freedom. Show off your patriotism this 4th of July with our astonishing red, white and blue wristbands. Get only high quality items from amazingwristbands.com - a top leading provider of personalized silicone bracelets online! At amazingwristbands.com we offer a variety of red and blue bands. Our standard color library with beautiful variations of the color red includes: Red (True), Red (Amazing), Red (Cherry), Red (Crimson), Red (Houston), Red (Lady Bug), Red (Neon) and Red (Old Glory). Looking for fun Christmas stocking stuffers? 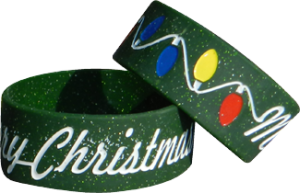 Our custom Merry Christmas wristbands are made of 100% silicone so they are comfortable, latex-free, and non-allergenic. These unique gifts are a Christmas green and feature a festive glitter effect with the message “Merry Christmas”. 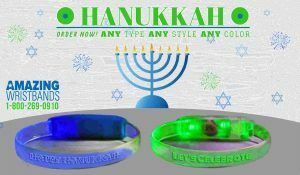 You can buy our 1" Wide Merry Christmas Wristbands now online for just 10 at $17.99 with free shipping.